(Trent Nelson | The Salt Lake Tribune) Jack Gerard of the LDS Church, right, with Craig Christensen, speaks about the church's opposition to Utah's medical marijuana initiative after a news conference in Salt Lake City, Thursday, Aug. 23, 2018. A Latter-day Saint in Utah County left work anxious on Wednesday, having just learned that his church was preparing to issue a statement on its position regarding a ballot initiative that would allow people like him to legally use marijuana to treat their illnesses. If the initiative known as Proposition 2 passes, it would no longer be a crime for him to buy, possess and use the cannabis droplets he’s been having shipped from California to calm his debilitating tremors caused by medications he takes for various conditions, including schizophrenia. But the man’s desire to remain in good standing with his religion is stronger than his desire to use the only medication he’s found that stops his shaking: a cream that, in the eyes of the federal and Utah governments, is illegal. So when he heard his church was preparing to release a statement about marijuana, he was nervous. “My stomach dropped a little,” said the man, who like others spoke about their ongoing cannabis use on the condition of anonymity out of fear of repercussions if it became public. A high-level church leader, Elder Jack N. Gerard, a general authority Seventy, on Thursday unveiled the church’s first public policy statement on medical marijuana: It is OK as long as it’s prescribed by a doctor in dosage form and obtained through a pharmacy. That news was welcome, although it left the Utah County man and countless others in Utah and elsewhere in the country in a kind of limbo. The Church of Jesus Christ of Latter-day Saints appeared to be more concerned about defeating Prop 2 than explicitly forbidding marijuana use for medicinal reasons. 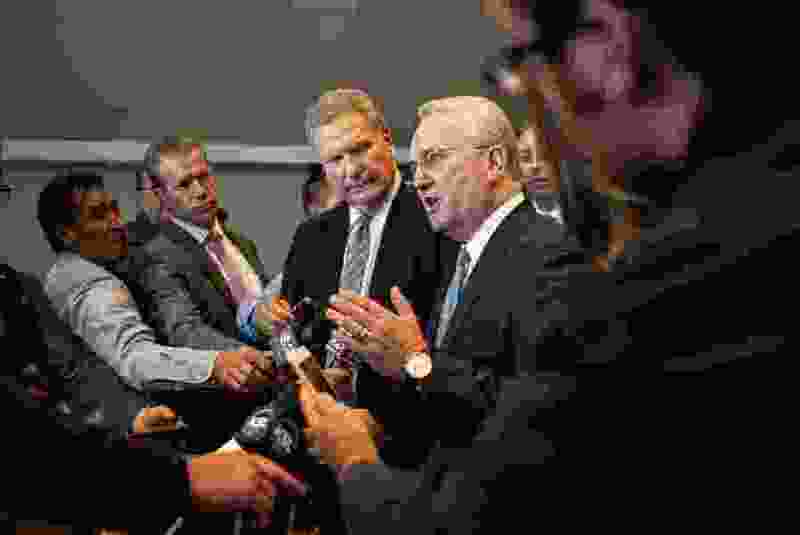 Now, rather than an ecclesiastical issue that could affect his standing with the church, the Utah County man and other active Latter-day Saints say they view the issue as a political one. And while the faith is calling on its members to vote against Prop 2, several of them say they still support legalizing marijuana in Utah. Still, the new policy statement puts church leadership at odds with faithful members who say they support the measure that will be on the Nov. 6 ballot if attempts in court don’t block it first. The South Jordan woman’s support for the measure may stem from her personal experience with cannabis products. She said she was nervous about being prescribed opiate-based medications when having her knee replaced. Instead of taking the pills she was given, her son went to Colorado and brought back a bottle of liquid that included cannabidiol, or CBD, which, unlike THC, is a nonpsychoactive ingredient in cannabis plants. CBD was made legal years ago in Utah and became widely available under an unregulated market that exploded because of its purported medical benefits for a range of ailments before the Legislature put in place testing and labeling requirements. Elder Craig C. Christensen, another Latter-day Saint general authority Seventy, urged members and all Utahns to vote against Prop 2. Still, Latey’s positive experience with products that derive from cannabis has pushed her strongly in favor of the initiative, despite having her church strongly in opposition. She “absolutely” plans to vote in favor. Others saw it more as a legal issue, rather than a religious one, because the health code Mormons follow, the Word of Wisdom, is silent on marijuana. And church leaders for years have considered it an issue between members and their bishops. That arrangement — doctor-prescribed marijuana distributed through a pharmacy — isn’t available, though a CBD-based medication is heading for the market. Still, the statement was viewed as a blessing for people who had already been using medical marijuana without church guidance. “That’s probably as best as I think they would have said [it], to be honest,” the Utah County man said.